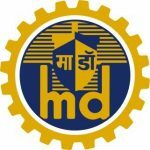 Deputy General Manager Vacancies – Last 04 April 2019 (Mumbai, Maharashtra), Mazagon Dock Shipbuilders Limited (MDL) recruits Deputy General Manager Posts. Candidates with Graduate experience can apply. Graduate from Institute of Fire Engineers (India) or Graduate of any discipline having completed Sub-Officer’s/ Station Officer’s course from National Fire Service College, Nagpur. sir ,i am Sandeep Chopra ,live in Jamalpur teh,Bawani Khera ,Distt.Bhiwani in Haryana . Sir i am doing for Apprentice in Xen (op) Division DHBVN Hansi,Hisar. i want for job in MDL. I am complete the 12th,ITI-(Draughtsman Mechanical)and B.M.Comm.3rd year.